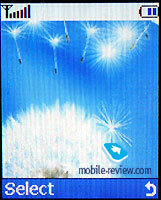 Samsung often produces models that are similar one to another like two drops of water, and the difference between them is usually either design or small feature/functions changes. The same thing can be said about the new model P100, which is practically full copy of V200, which was the first phone with camera from Samsung. There are no much changes between these two models. Slightly different assembling of camera, in P100 it is located in the middle, instead of the left edge in V200. 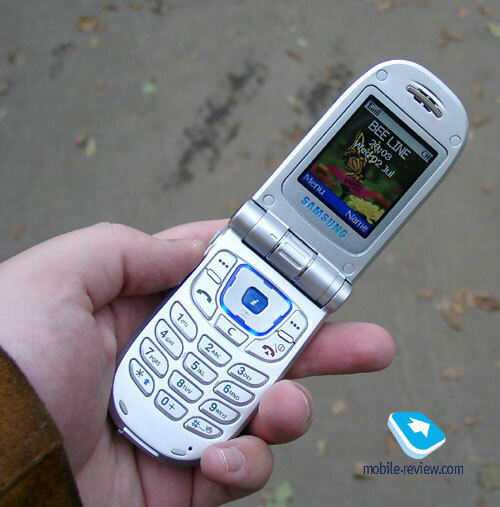 The other change is marketing, the model is not related to top-segment, this is the low-end phone. That’s how we should rate this model, this phone offers camera’s possibilities in clamshell factor for minimal amount of money at the moment. The phone’s design is traditional for Samsung, external antenna is present, this is not common for top-models, but is acceptable for middle-class models. The phone is rather big, and somehow elegant due to the thickness and case’s gadflies. If you look into its front panel you will see similarities with racing car. The symmetry gets broken only when you notice the external antenna. Other parts are the camera which is located in the middle, LED and the external display. 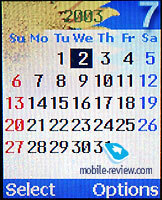 The external display can show up to 3 text lines and its resolution is 96x64. The backlight is blue. The LED is located above the screen, it can blink with one of the offered colors. The IrDA window is located in the left side, as well as the joined volume control button and headset connector. The interface connector is located in the bottom side. The camera gets rotated very easily due to its ribbing surface. You can take pictures only when the clamshell is open, unlike the new models. 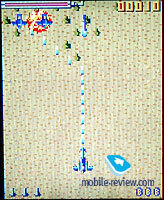 The phone can be opened with one hand despite its size, this looks rather unexpected and pleasant. Alright, let’s open it. What we see is the internal display, the picture which is displayed on it attracts attention, and there are certain reasons why: first of all, it is made by TFD technology and up to 65k colors can be displayed at once. 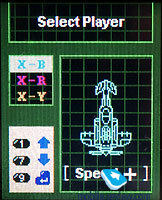 The resolution is 128x160 this makes displaying of 7 text lines possible as well as signatures for soft-keys and row of service icons or header. 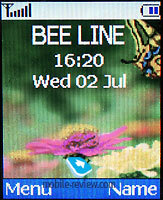 The information’s readability is awesome indoors as well as when the display encounters direct sunlight. 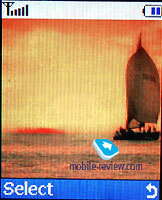 The colors are lively, the color transfer is very precise which makes the screen ideal for displaying various pictures and animated images. The phone has preinstalled pictures and screensavers. Alike S300 there are two backlight modes, one of them is very bright and the other is less brighter. In second case the picture is visible, but it turns pale. 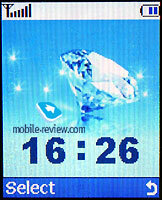 The phone automatically switches to the second mode in case if it is opened, but you are not making any actions for some time, and after additional amount of time the backlight will turn off completely. In order to activate it again you just have to press any button. It is the screen which is one of the phone’s strongest sides, it is pretty modern and is a lot better than many manufacturers can offer. The keyboard is made of plastic, the keys are placed at good range, this increases the positive experience from its usage. The buttons are big, they are stepping up above the case, no problems were encountered. 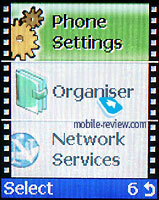 The four-positional navigational key with built-in button for access to wap-browser is located under the screen. 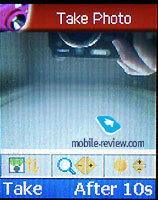 In case of leaning the navigational key down the camera will be activated, there is no separate button for camera. The only thing left to tell is the battery, it is li-ion and the capacity is 800 mAh. The manufacturer claims that the phone can worked for 160 hours in stand by mode and up to 2.5 hours during the conversations according to the manufacturer’s claims. 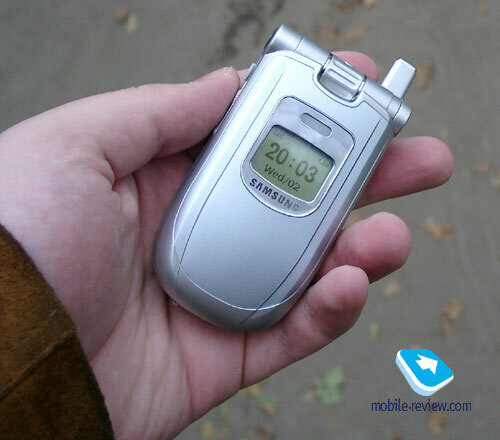 We were testing this handset in Moscow, our operator was MTS, the phone worked for about 3 days with 40 minutes of phone calls and about 30 minutes spent for the phone’s functions in total daily. It takes slightly less than two hours in order the battery to charge up. 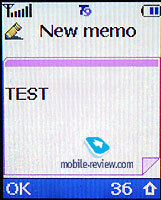 The menu’s appearance is vertical, there is fast number navigation support as well. 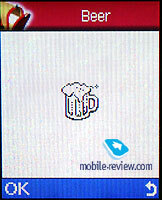 The menu’s outlook was slightly changed, the icons are looking more fashionable and interesting. You can choose more common way of menu’s presentation, when there are several menu items seen at once, it is called Film Style here. Before moving on to reviewing the functions, I’d like to say that just like in S300 multi language text input in one SMS and note is supported, as well as Russian T9 dictionary. Phonebook. One can enter a phonebook just pressing right key in the stand-by mode. Then, you’ll see a list of menu items, first one is “Name search”. 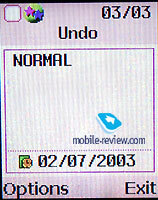 Phones from both Sim-card and internal phone memory can be displayed in the total list. 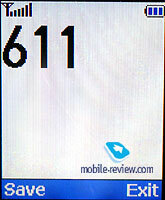 Up to 10 fields can be added to one contact (mobile, home, office phone, fax, e-mail, URL and other information). 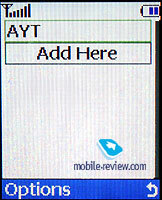 Also a contact can be assigned to a name. Up to 10 caller groups are available. 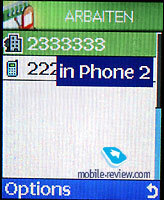 Caller groups are very useful if you decide to send a group SMS message. 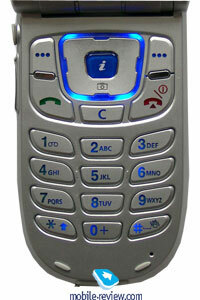 Special melodies, pictures, ringing tones and SMS tones can be assigned to each group. 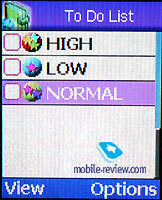 A new feature to easy text inputting is appeared in the phone. 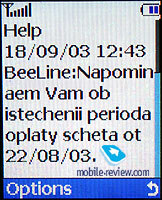 Now when you create a message, you can call a special menu and change a language there. Thus, you can write a message in several languages. Picture Messaging. 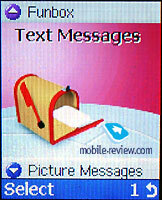 Here you can create and read received MMS–messages. 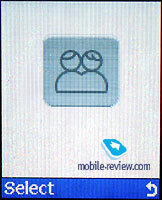 All settings are rather simple, it is possible to choose automatic downloading of messages. This feature is operator dependant and unfortunately, it doesn’t work in Moscow yet. 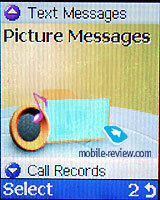 You can add text, photo taken by your camera or just a picture (only from your folders, not pre-installed) to a message. 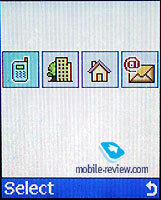 If to compare the capabilities of the phone in response to MMS, it is similar to phones from Nokia, for example, it has the same ideology and number of settings. Call lists. Nothing new is here. 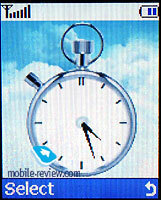 There are lists of the last 10 missed, dialed and received calls with time and date indication. Unfortunately, total time of all calls can’t be viewed, athough there are separate timers for incoming and outgoing calls. 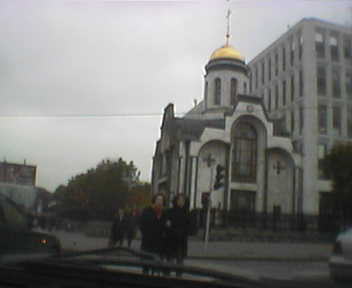 Камера. В качестве видоискателя используется экран телефона, боковыми клавишами вы можете сразу перевернуть изображение на 180 градусов. Сразу же можно отрегулировать яркость картинки, для этого нужно нажать на вертикальные клавиши. В телефоне есть прилично работающая функция увеличения картинки, Zoom. Для того, чтобы сделать снимок, достаточно нажать на левую софт-клавишу. Вам предложат сохранить снимок под определенным именем. Camera. 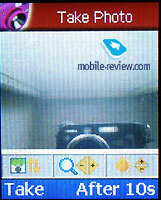 Phone display is used as a viewfinder, you can rotate an image 180 degrees using side keys. Other manufacturers doesn’t have such feature. 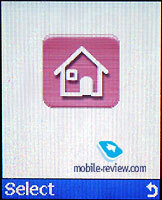 You can adjust brightness of the picture pressing navigation key. Also there is a Zoom-function in the phone, it is quite acceptable. 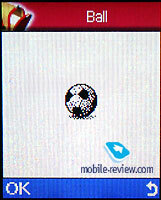 To make a shot, press a special key under the screen. Then you can save this photo or delete it. 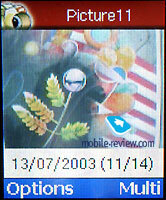 All photos can be viewed in Photo Album, some photos are presented as small copies. Navigation is simple and convenient. An integrated CCD-camera enables to make images, which have a resolution of 352х288 pixels. 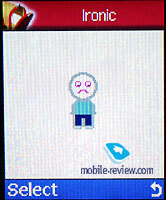 Unfortunately, there is no software to synchronize the phone with PC. It is also impossible to transmit photos via IrDA and it’s doubtful whether it will be available in the future. 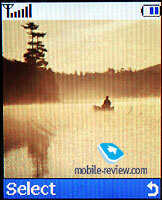 The quality of images is quiet good, all pictures look vivid, may be because of the screen capabilities. 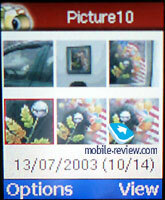 Up to 100 photos ca be stored in the internal memory of the phone. Now you can’t select a resolution, possibly this function will be appeared, when the phone goes on sale (presumably in March). In the whole, this camera is similar to one in Panasonic GD87 except availability of different effects (images frames, for instance). Sound settings. 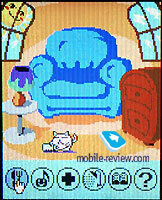 Here you can choose a ringing tone (totally, 44 polyphonic melodies and animals voices). The phone supports 40-tones polyphony and a ring is very loud. 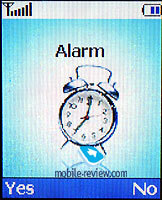 There are several types of incoming alert: just sound, just vibrating alert and a mixed mode (firstly, vibrating alert and then a sound). 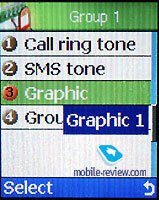 One of 10 pre-installed tones can be chosen for SMS messages. You can also switch a minute minder, which works in a talking mode and set a tone that is played while connecting with the other side (subscriber). Organiser. 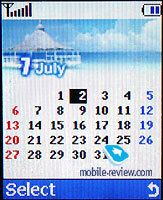 Current month is displayed as a calendar. You can add a note (up to 40 characters) to each day. Events are not divided to types. And you can’t input 2 notes to one day. But there is a way to avoid this limit. You make a record for another day and then copy it to a necessary date, which has a note. It’s not very convenient, but works at least. Funbox. 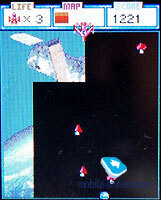 Up to 3 games are pre-installed, they are X-Fighter, SpaceWar, MyPet. All of them were in other phones from Samsung. 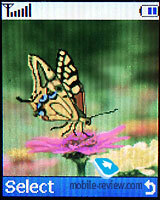 Wap-browser in version 1.2.1 can help to download new pictures, melodies and games. 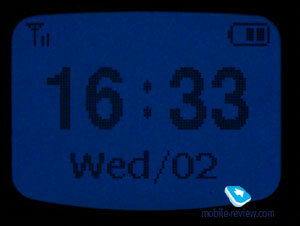 The phone supports GPRS (4+1). 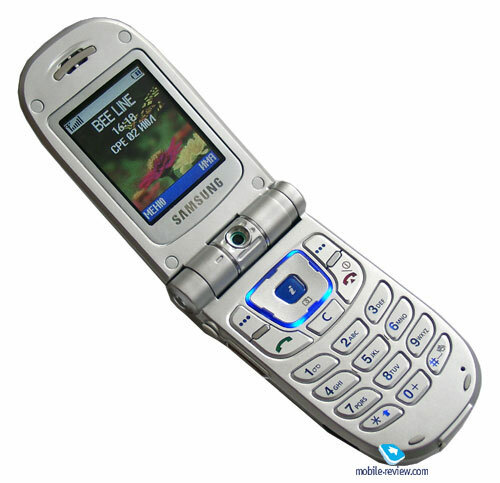 The phone is so similar to Samsung V200 that I have experience Deja Vu feeling more than once. There is no functional difference between these two models, slightly different design and that’s it/ Let me remind you that the network reception quality is very nice, and the volume of 40-tone polyphonic ring tone is more than enough for most situations. The vibrating alert’s power is average. 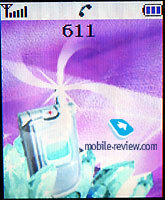 The phone does not have any significant problems, this is well-tested platform and it is very reliable. The main virtue of V200’s reincarnation is low price. After first sales will pass the price will decrease to 300 dollars and later on it will become even less. 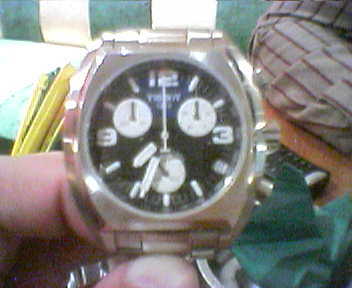 The price will become the main success of sales for this model. Those who are seeking maximal functionality should take a look at the other models. On the whole I can state the phone should have been released long time ago. 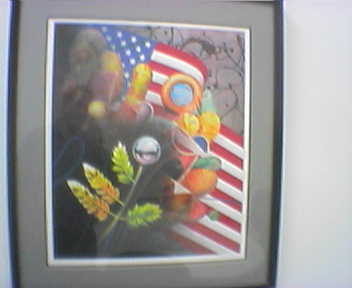 At the moment its price should not exceed 250 dollars, but unfortunately it does. The current situation on the market allows selling this model at higher price. Its real price should be lower since it is using old platform and there are no changes since V200 made.